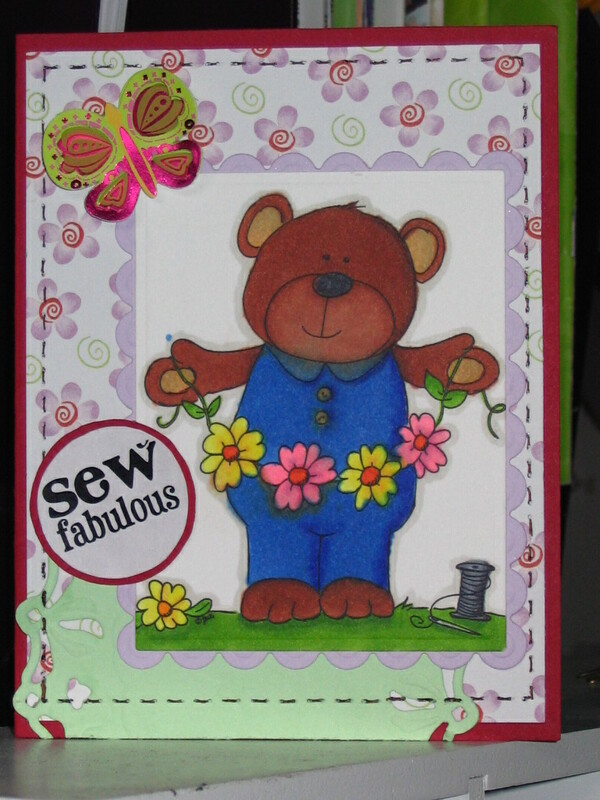 Isn't he sew fabulous, not only is he cute but he crafts too! You can find this cute image over at Designed 2 Delight digi stamp shop. He was given as a freebie to those who entered in last weeks progressive challenge over at Faiths Delightful Inspiration blog. 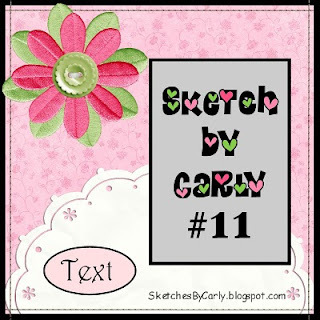 This is the sketch I used, it's from Sketches by Carly, it's also the bonus challenge over at Double Delights where you had to add stitching on your card. The bonus challenge is opitional but if you use the sketch you can win an EXTRA free digi from the D2D store!! Such an adorable card - great job with the image! Thanks for playing at Designed 2 Delight! This card is 'Sew Fabulous'!! Thanks for participating in this week's challenge. Cute Card.